We visited Omah Tani in Bandar in the Dieng Plateau. It is a farmer union set up in Bandar to defend farmers' rights. It has a green atmosphere. I took a walk and saw the Dieng Plateau. 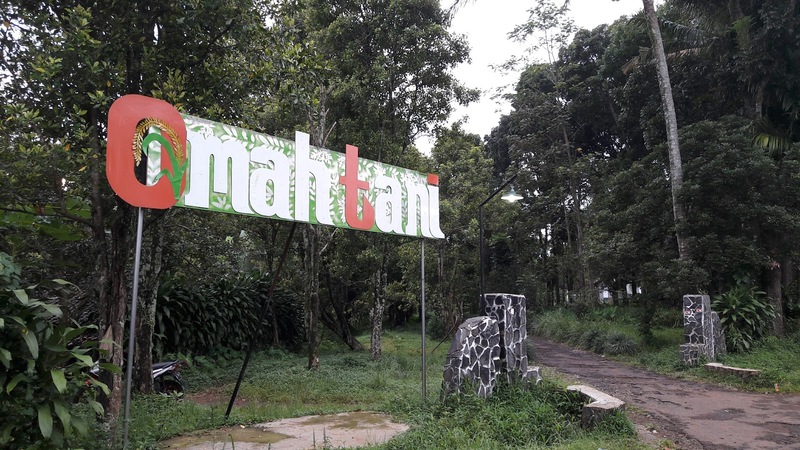 Entrance of Omah Tani in Bandar, Batang regency. Handoko Wibowo, a human rights lawyer, helped set up Omah Tani after the fall of President Suharto in 1998. He left his legal practice in Pekalongan, near Bandar, and set up Omah Tani in his hometown. He also let the union to use a part of his family eight-hectare clove plantation. 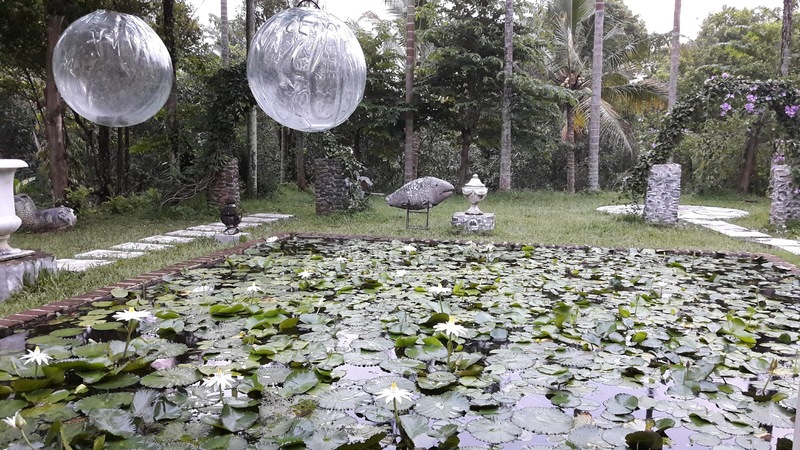 Wibowo loves antiques and decorated his family farm house with many antiques. 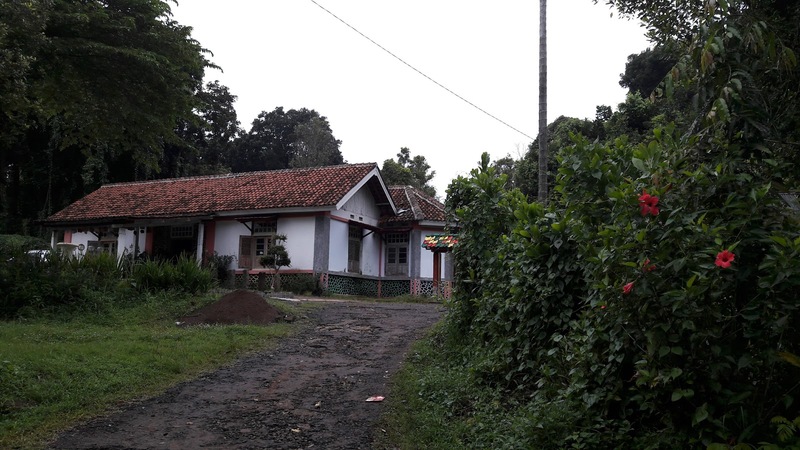 In Javanese, Omah Tani literary means a farm house. 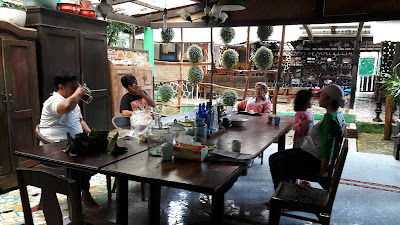 Wibowo told me that he was surprised when knowing that many farmers who live in Bandar were very poor. Land is a big problem in Bandar. He provided free legal service to help these farmers to get the lands that they had been using for decades. Handoko Wibowo chatted with my children, my wife, my mother, and my sister. I began to know Wibowo in 1984 when I studied at Satya Wacana Christian University in Salatiga. Wibowo was also a student there, two years my senior. He volunteered to help villagers in Kopeng, near Salatiga. We also became proteges of Dr. Arief Budiman, a Harvard-educated professor, who was teaching in Salatiga. We rarely met but occasionally in Jakarta. He received the prestigious Yap Thiam Hien Human Rights Award in December 2015 in Jakarta. 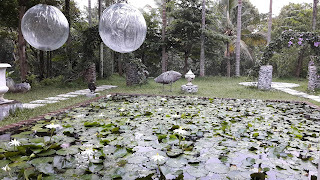 A small pond with many frogs. My daughter loved this pond.